We believe that all children are inherently talented. We believe that optimism and positive relationships are the foundation of trust, respect, and strong character. We provide the pathway for all children to develop their talents to be successful at the highest level. We are committed to valuing each encounter with every person within our school community and instructional/learning opportunity. As a school-wide professional learning community we are dedicated to taking responsibility for engaging each individual student in learning through best instructional and assessment practices. Submit an absence or late arrival using our online attendance form. Use our online form to let us know of a student's early dismissal or change in dismissal. 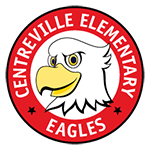 Learn about the history of Centreville Elementary School. The Positivity Project inspires students to build strong relationships. Centreville ES received the prestigious Green Ribbon School award in 2017 from the U.S. Department of Education. Is Your Address Within Our Boundary?